For awhile now, I’ve been praying the same prayer, every day. It’s short. It’s simple. But it’s soul deep. And it’s a prayer, I feel, God finds joy in answering. So I’ve put together this Scripture Journal for me to use each day, and I thought I would share it with y’all and invite you on this journey with me as we dive #souldeep into God’s Word. 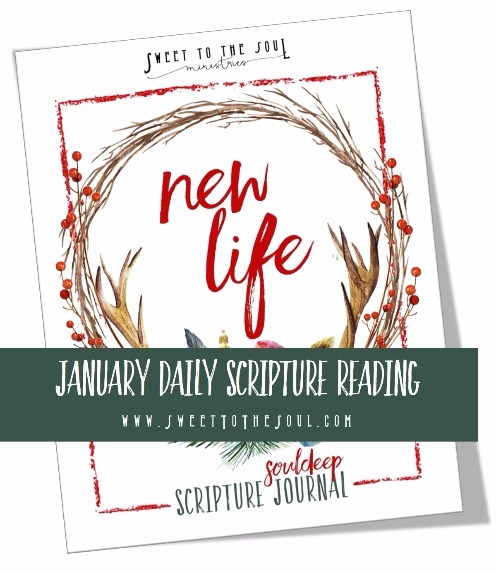 Every morning in January, we will share a scripture on social media (our Facebook page, in our SoulFriends Facebook group, on Twitter, on Instagram and on Pinterest) related to January's topic: #NewLife - and they range from new life in Christ to renewal after destruction. You can then use the 2-pages, for that day's scripture, to reflect on and map that scripture. We would love to hear about what God reveals to you through His word, so please come join the conversation with us each day and share what God is teaching you. 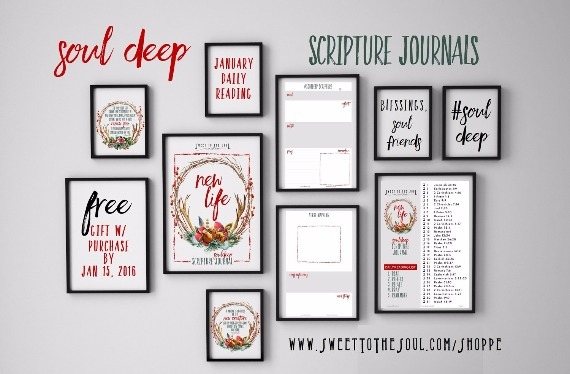 Everything you will need, we have put together in our 70 page #souldeep Scripture Journal, which you can purchase, then download, print and place in a binder. It is designed to allow you to go as soul deep as you desire in discovering the beauty of God's Word. Even though for each day we have only selected a single scripture, our encouragement is for you to go beyond that one verse. 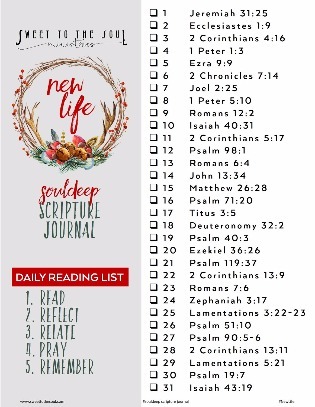 The #souldeep Scripture Journal includes the Daily Bible Reading List, a #souldeep Scripture study page pre-printed with each day's scripture, a Verse Mapping page for each day's scripture and a set of scripture cards printed with each day's scripture. The Verse Mapping page allows you room write out the day's scripture and really make it personal. And we'll be sharing more information about verse mapping as we go through our study. Do I need to purchase the journal to participate? ​If you are wondering if you must purchase the #souldeep Scripture Journal to participate, the answer is no. 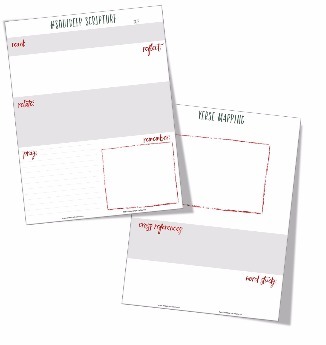 Blank journal pages are available for you to download free of charge. Click here to download the #souldeep Scripture and Verse Mapping blank Journal pages. You may print multiple copies of these blank pages. God has spoken to our hearts that spending time in His Word with Him everyday is a priority. But just like you, often our daily routines, schedules and family responsibilities do not allow either a consistent time slot or an extended time slot to sit with God. The exercise of using the #souldeep Scripture Journal is more for consistency and accountability. It's a simple guide to aid us when we sit with God's Word. It gives us a place to go, a starting point, a conversation starter with God. Whether the morning affords only time enough to read the scripture or an hour to sit at His feet, we want to encourage you - as well as ourselves - to daily read from the Bible. 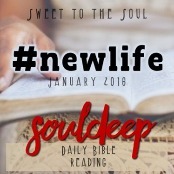 So we invite you to join us each day as we dive #souldeep into God's Word. Sooooo excited! I love when things are so beautifully put together! I'm so excited for this too Jodie!!! Thank you for all our help!!! This is wonderful and a special gift. Thank you. May your Christmas be filled with all Who Christ is. From one wife, mom and nana to another - thank you! I'm looking forward to doing this with you.